You are here: Home / Great Deals / Amazon Deals / Herb Scissors Only $8.99! Now that the garden is picking up speed, it’s time to harvest some fresh herbs and enhance dinner time! I’ve always wanted a pair of herb scissors, they seem to make quick, even, work of a tedious chore. 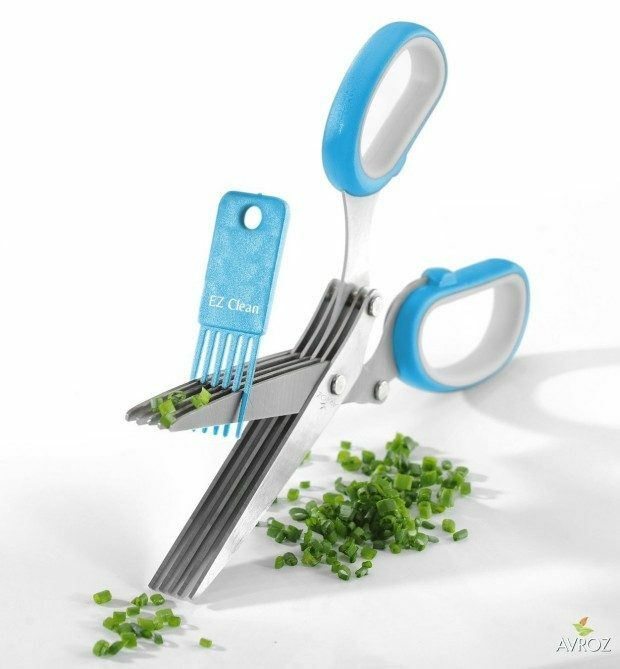 These Herb Scissors are only $8.99 and come with a cleaning comb to get out all the bits! You will also get a FREE Bonus Healthy Cooking Recipe ebook!